Senate report critique: Intelligence commentator, torture opponent argues that committee move is unwise. 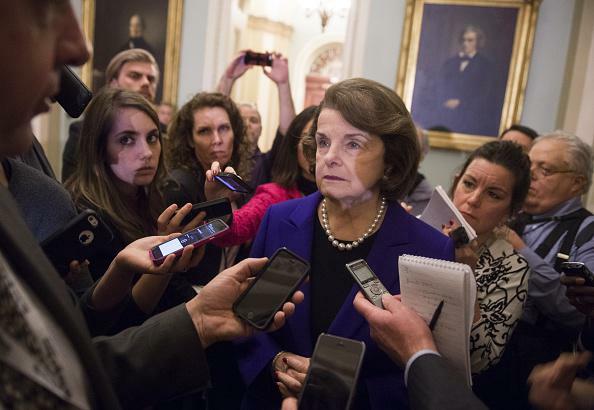 Senate Intelligence Committe chair Dianne Feinstein. On Twitter, CNN anchor Jake Tapper points to a viewpoint on the Senate Intelligence Committee (SSCI)’s CIA torture report that’s somewhere between, or perhaps outside of, the condemnations and defenses of the “enhanced interrogation” program that have been flying back and forth since the report was released. It’s a blog post written by a historian and former National Security Agency employee named John Schindler, who believes that the United States should never use torture as an interrogation method and that the CIA’s detainee program was “a disaster”—but also that the release of the Senate report is a major mistake. You should read the whole post here, but to summarize, Schindler argues that releasing the report without bipartisan backing guarantees that Republicans will oppose (necessary) CIA reforms, that a great deal of information about the agency’s malfeasance had already been made known to the public (and was perhaps even approved by Congress itself), that releasing the details of the United States’ cooperation with foreign intelligence services will make them less likely to cooperate with us in the future, and that open partisan condemnation will encourage the CIA’s most cautious, self-protecting impulses. Basically: nothing constructive is being accomplished that would justify the damage that’s being done. Thus will CIA remain, largely unreformed. Its foreign partnerships have taken a serious blow, and any operational bias for action, strongly encouraged after 9/11, has evaporated, perhaps for decades. Who, after all, wants to take risks when you might be exposed by an angry Congress a few years down the road? Getting your intelligence services to be risk-averse and ineffective, acting like a very secretive and expensive Department of Motor Vehicles, is an eminently achievable goal, and will be the lasting legacy of the Democrats on the SSCI. Schindler’s blog has more information on his background, and plenty of other writing on intelligence topics such as the Edward Snowden leak, for anyone interested in finding out more about his perspective (or anyone interested in putting that perspective, as it were, in perspective).